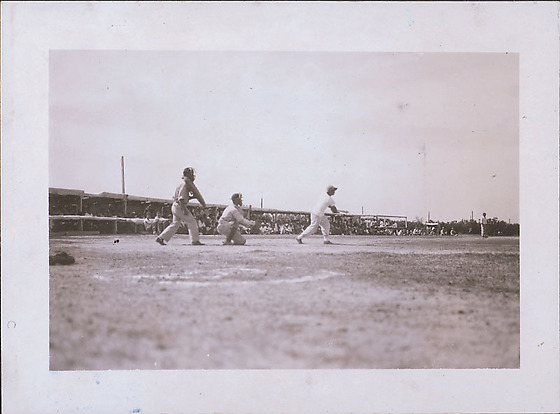 1 b&w; photograph of baseball game in progress. At home plate, 2 players and umpire in view. Catcher in view. Batter hitting the ball. Spectators off in the distance.